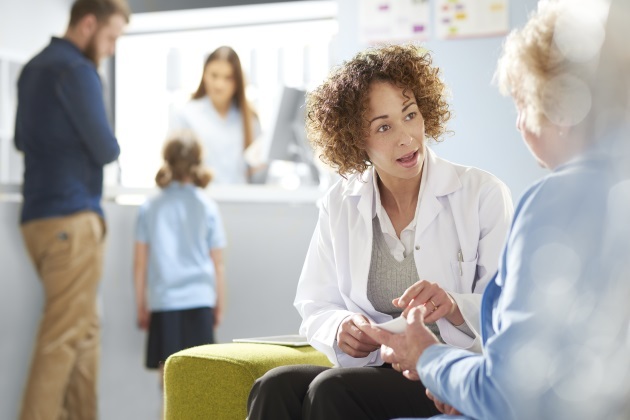 Complex patients see their pharmacist an average of 35 times each year — that’s 10 times more than most will visit their primary care physician, according to claims data from North Carolina’s Medicaid care coordination network. As the provider who directly interfaces with the patient most — no one is better positioned to regularly monitor the patient than the pharmacist. Yet while it’s logical that pharmacists perform other vital tasks to manage patient care in addition to dispensing medicine, this not yet the norm in the U.S. healthcare system. Commonly the physician sees the patient, makes a diagnosis and prescribes medication. Then, six months pass before the next follow-up appointment. When everything goes as the doctor expects, all is well. However, if problems arise with the medication such as interaction issues with another drug or the patient responds poorly to the prescription or for unforeseen reasons doesn’t adhere to proper dosages, the doctor has no way of knowing. If the patient is savvy enough to take note and get in contact, there’s little likelihood that the physician’s workload will allow for a direct conversation, much less an additional appointment to resolve the problem. One reason the nation’s current healthcare model falls short is due to fragmented care along with virtually nonexistent communication and information sharing between primary care physicians, specialists and pharmacists, comments internal medicine physician Charles Lee. This makes it impossible to gain a comprehensive view of the patient, not to mention developing holistic treatment. One obvious solution to these problems is an emerging, patient-centered pharmacy model that "promotes a dynamic relationship among patients, pharmacists and physicians," explains Lee, who is also an adjunct assistant professor at University of North Carolina's Eshelman School of Pharmacy. In a medication management role, the pharmacist works with patients to ensure they adhere to medication therapy and monitor their outcomes. Here, the pharmacist is better able to identify duplicative drugs or potential safety issues associated with drug interactions. If the patient is not responding optimally or is experiencing side effects, the pharmacist can contact the physician to make adjustments long before the patient’s next scheduled appointment. The pharmacist also serves as an educator and counselor for patients encouraging active engagement in their own care, making sure they understand instructions along with the benefits of the medication and downsides associated with noncompliance. This ongoing personal interaction promotes greater patient trust and willingness to share concerns and challenges they have with their medicine therapy. The widespread adoption of this model, beyond current medication therapy programs that target only high-risk patients, still faces obstacles. According to Lee, compelling financial incentives for pharmacists to take on this expanded role need to be in place along with enhanced technology that allows for direct two-way communication between the prescribing provider and pharmacist. Another challenge is for physicians to embrace pharmacists as collaborative caregivers. "Physicians need to acknowledge pharmacists can add value to the overall patient care process by more fully managing medication therapy," writes Lee. "Instead of viewing this as a threat, physicians should embrace the opportunity to concentrate on other aspects of clinical care delivery." In North Carolina, pharmacists taking on an expanded role has been put to the test after a $15 million grant was awarded to Community Care of North Carolina (CCNC) by the federal Center of Medicare and Medicaid Innovation in 2014. The impetus for the grant was to demonstrate how community pharmacists might lower the cost of care for the state's 1.7 million Medicaid patients, explains Lia Novotny in a related article. The CCNC’s first step was to develop collaboration between medical practices and local community pharmacies. The commission invited pharmacies that already offered enhanced services like delivery, medication synchronization and patient education to partner with medical practices with the objective of preventing patient readmissions. The owner of one such community pharmacy, Joe Moose, PharmD, gives specific examples in an article published by the North Carolina Medical Journal. "Our team works with complex patients who are not taking their diuretics due to side effects, cannot afford their maintenance COPD inhalers, or do not have the transportation to pick up their post-Myocardial Infarction regimens. Pharmacists can identify these red flags before they result in hospital admissions and offer both clinical and non-clinical solutions." Another initial step for the team at CCNC was to establish common protocols for care management services in areas of data transmission, quality assurance requirements and standard services. They set up a member network of community pharmacies that offer enhanced services trademarked as Community Pharmacy Enhanced Services Network (CPESN). "By tracking the cost of care across the network, CPESN revealed that while complex patients had double the healthcare spending of other patients in the system, that rate leveled off after pharmacists began coordinating care with medical practices," reports Novotny. "Patient outcomes also improved — patients who were customers of member pharmacies consistently scored 4 to 5 percent higher on medication adherence than those of other pharmacies." The CCNC trial successfully demonstrated that a fairly compensated community pharmacist in an expanded healthcare management role can reduce the remaining 85 to 90 percent of North Carolina healthcare spending not allotted to prescriptions. Qualitative data revealed a superior level of patient care as well — reflecting the positive impact pharmacists can have on patient-centered care as key participants in a well-synchronized team of healthcare providers.